Do you want to align text next to images on your site? Having the text around images will cover the blank space, so your content looks great to the users. 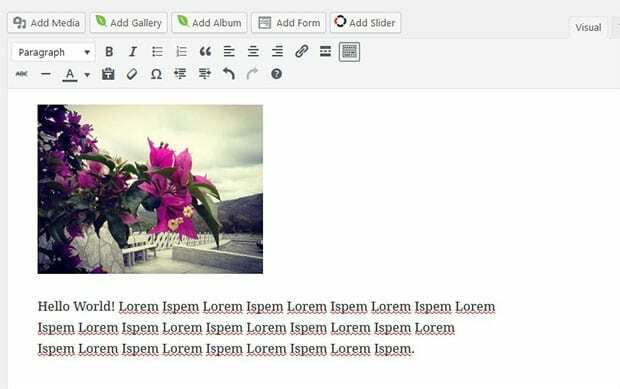 In this tutorial, we will share how to wrap text around images in WordPress. Images and text appear in separate rows, so you need to make a few changes in the post formatting to display them next to each other. 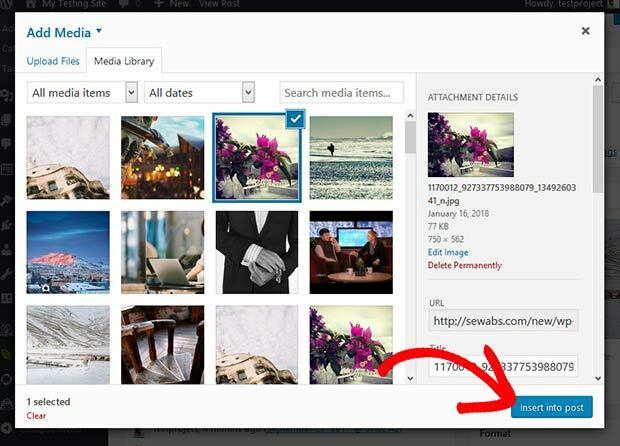 To add an image, you should go to Pages/Posts » Add New or edit an existing page post. Simply click on the Add Media button. A popup will open that display all the previously uploaded images. You can also drag and drop new photos from your computer. Select the image that you need to add and click on the Insert into Page/Post button. Your photo will be added in the WordPress page/post. In the visual editor of the page/post, you should add all your text below the image. Next you need to wrap the text around the image. 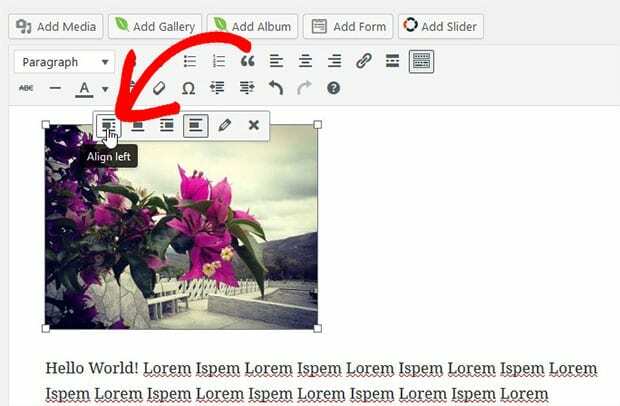 After adding text in the visual editor, go ahead and click on the image. It will show the alignment options where you need to select the Align Left settings. Once you click on the left align option, your text will automatically wrap around the image. That’s all. 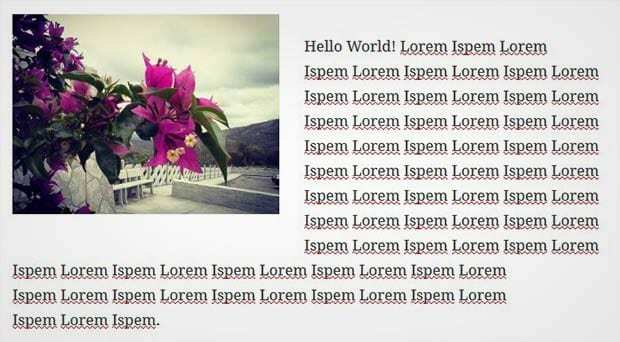 We hope this tutorial has helped you to learn how to wrap text around images in WordPress. You may also want to check out our guide on how to create a text only carousel slider in WordPress. If your content and images are loading slow, then you should check out this ultimate guide to boost speed and performance. If you like this tutorial, then please follow us on Facebook and Twitter for more free WordPress tips, guides and resources. 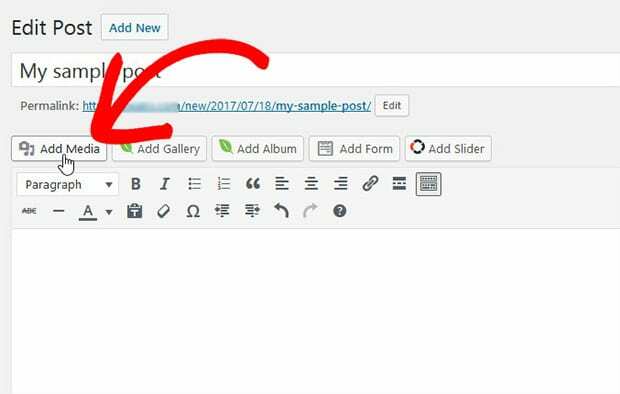 Where Does WordPress Upload Images To? What Are Unattached Images in WordPress? Waseem Abbas is a content writer for SoliloquyWP and Envira Gallery. Most of what you describe will come from the theme’s style.css file. Every theme should have specific styling in for WordPress captions as this is the best practice. If you are seeing these kinds of issues, I would recommend contacting the theme author for help with any missing CSS to completely style those captions for you. That’s just an example but the theme styling is where I would start! Is it possible to align a Soliloquy image slider to the left?